On March 6, 2017 March 6, 2017 By Shelby BoydeIn What Is Going On? My blog, Writing My Career was created to mainly focus on how I’m bringing my novels to life. Sadly, all of my work has been progressing at a very slow pace these days. It’s not always a good thing to be so slow but at least there has been progress, right? Today, I’ll share a full update with you on what’s truly going on. I haven’t done nearly as much work with my writing as I would like to brag about, but it is getting done. The general plan for my new novel is almost fully settled in my head. All I have to do at this point is force myself to stop getting distracted by different things to get my work going. Finally being able to bring my dramatic, paranormal, mystery (not fully sure how to label the genre, yet) to life makes me very happy. As I sort out the details I can feel my pride with my work coming full circle once again. It’s truly an overwhelming moment when everything becomes what you truly want. 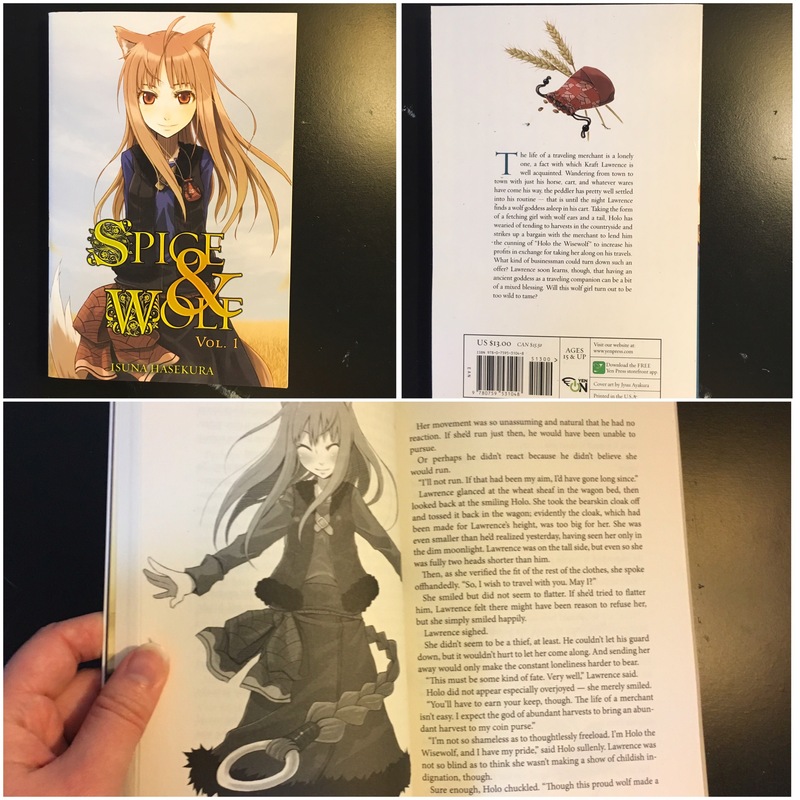 I watched an anime called Spice and Wolf sometime last year and I knew there was more to their story. Obviously, the best way to get it all is to read the books. The morning after I placed my order I realized I had ordered the light novels rather than the manga. I was heartbroken because I didn’t want them in novel style, but it was too late to cancel my order. It was entirely my own fault for not taking the time to make sure I did it right so I knew I was stuck with what I was getting. My package arrived a few days later and when I opened the books upon delivery I was actually thrilled. If you look at the bottom image of the inside pages you can see the light novels are a combination of a chapter book style and manga. It’s interesting and I can’t wait to read what’s inside. I am super excited to finally set aside some time to read the books. (I hope there’s a lot of cute moments). If this style proves to be favorable I will order more! 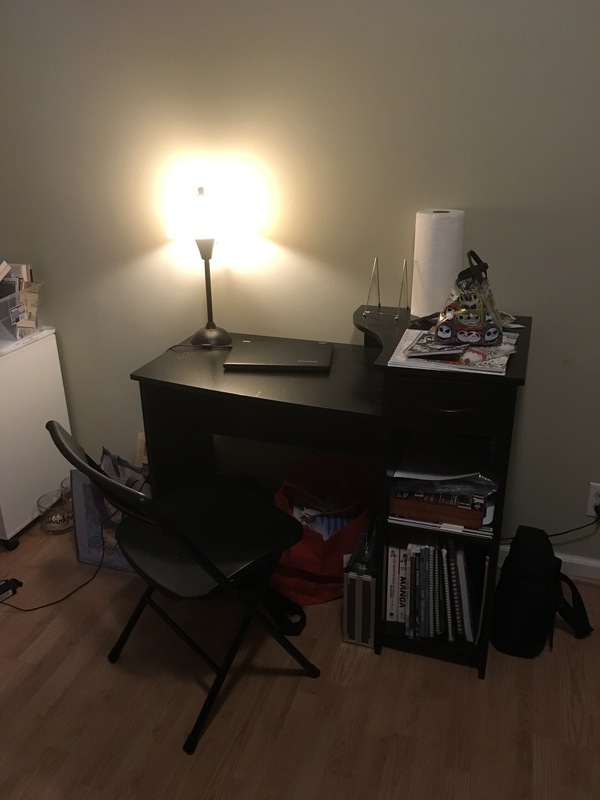 The image I’m sharing with you features the beginning to what I will be creating next. 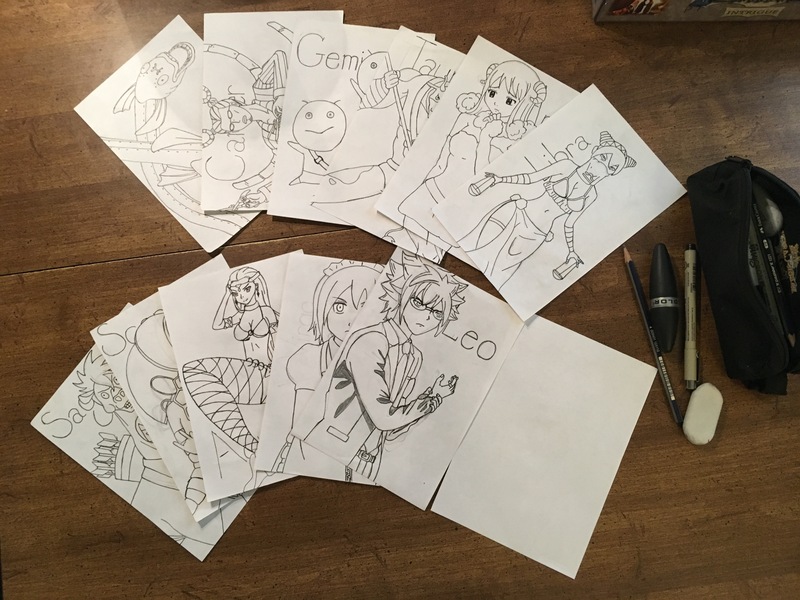 Soon I will be getting a new art program to make my anime drawings even more amazing! Once I get this program I’m going to focus even more on creating my own drawings so I can get my work out there rather than using fan art. I’m excited and will share images once I have them figured out. Very true! Truth be told, I always wanted to be an artist when I was younger but everyone said it was a “fool’s dream.” I gave up and chose to become an author. I quickly realized my dreaming wasn’t much better and chose to do both! Creativity is a great thing. Who is to say what is foolish? Every one of us are here on this planet trying to figure out how to adult as much as the next guy.